Have you ever come home from work full of intention and motivation to cook dinner at home, only to find an empty pantry and nothing to work with? Sometimes cooking at home sounds totally do-able, but making that extra stop at the grocery on the way home is where I lose steam. Making sure you have a few pantry staples can be that make-or-break factor between whipping up something homemade or grabbing your phone to order from Postmates, yet again. 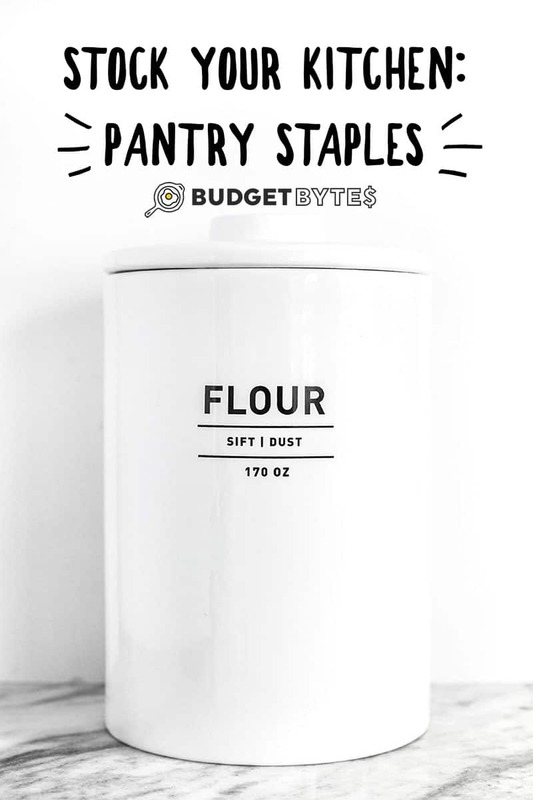 This list of pantry staples are the items that I like to keep on hand to help me whip up meals on the fly. 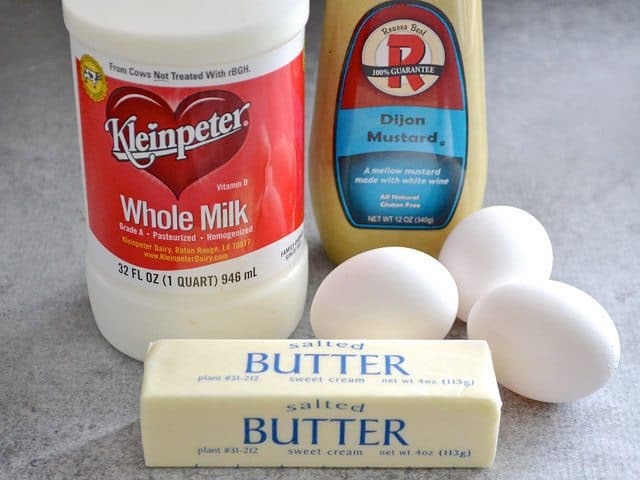 They’re basic, versatile ingredients that are used frequently, are usually fairly inexpensive, and have a long shelf life (pantry, refrigerator, or freezer). Your personal list will take shape as you begin to cook regularly and develop favorite recipes or flavors. In the mean time, use this list as a guide for slowly building up your pantry over time. You don’t have to buy everything at once! Buy one or two items, as needed, but always check if you need to restock on these items before you do your weekly shop. Need ideas for what to make with your pantry staples? Check out these 19 Quick and Easy Weeknight Dinners, designed specifically to use pantry staples and require little planning ahead! Dry goods are usually the least expensive and most versatile ingredients in your kitchen. I like to buy these items from bulk bins, if possible, to cut down on packaging, and because I can buy any quantity needed. 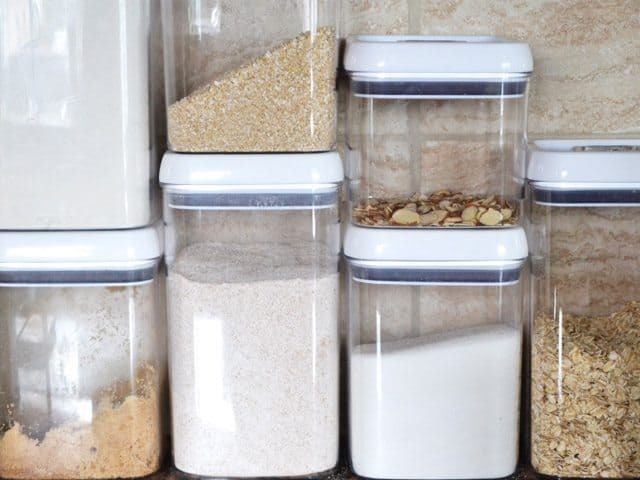 If you don’t have fancy containers to store your dry goods, don’t fret. A heavy duty zip top food storage bag will do the job. Just make sure they stay dry, cool, and away from sunlight because flavors and freshness don’t last forever. Oils, vinegars, and sauces are essential to giving life to your food. 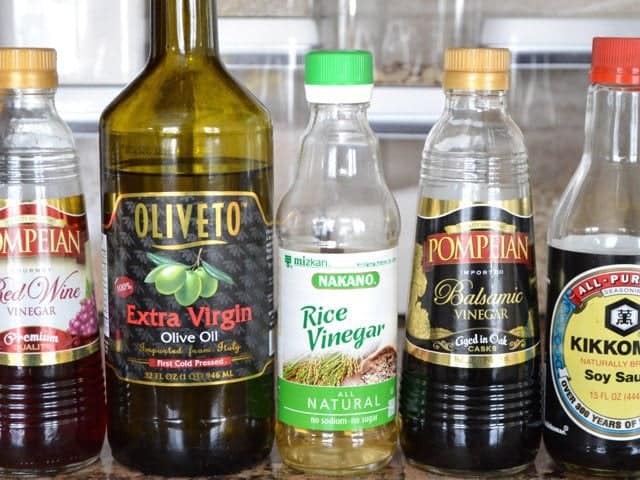 They add flavor, zing, and can be used to make a million different dressings and sauces that will liven up even the most boring meals. Again, these items are pretty basic and inexpensive, and most have an extremely long shelf life. Don’t worry yourself over buying top quality when you’re just starting out. Until you become more experienced in the kitchen and your taste develop, you may not be able to tell the difference between generic and high end. Stick to what you can afford and I promise you’ll still be able to make good food! Herbs and spices are my arsenal in the kitchen. They can turn boring, flavorless food into a drool-worthy creation. Spices have a fairly long shelf life, especially if kept in an air-tight container, away from heat and sunlight. There is no exact expiration date for herbs and spices, but a good way to determine their potency is to give them a sniff. If you can’t smell your spices, you won’t likely be able to taste them in your recipe, either. 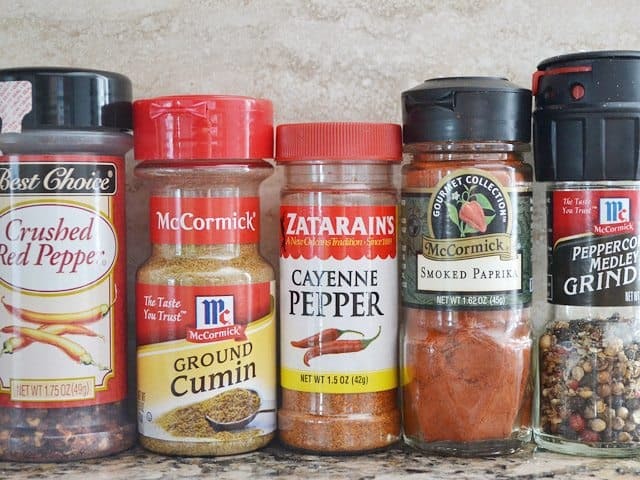 For super fresh and affordable spices, look for spices sold in bulk (this is becoming more popular in grocery stores) and check international grocery stores. This list is highly personalized and will differ greatly depending on what kind of cuisine you like. Obviously these ingredients don’t have as long of a shelf life as dry goods, but it’s good to keep them on hand. In lieu of trying to keep a variety of fresh vegetables on hand (keep dreamin’, Beth) I like to keep a variety of frozen vegetables on hand. Frozen vegetables are the next best thing to fresh because they don’t have any extra salt or preservatives added (make sure you’re not getting the kind that come with a sauce). They’re always there ready and waiting to be tossed into a soup, casserole, pasta dish, or even tossed onto pizza, without worry that they’ll go limp and begin to stink up the fridge. I also like to make sure I have a little meat stashed in the my fridge for quick meals. When I encounter meat sales, I stock up and stash the goods in my freezer for later. I don’t use canned goods often, but they’re extremely convenient and usually fairly inexpensive, so they can certainly be a life saver. I try to stick to canned goods with as little additives as possible. Soup Base: I used Better Than Bouillon, chicken, beef, and vegetable. Refrigerate after opening. So there you have it—my most valuable pantry staples that I rely on to get me through busy days and last minute meal requests. What about you? What have I forgotten? What ingredient can you not live without having on hand at all times? Share yours in the comments below! Post originally published 11-19-14, updated 7-5-18. I can’t find anywhere a recipe for supper. Here in Poland we eat kind of like a midnight-snack/meal. As a mom, I can’t find anything good to make my kids. please, please, please figure something out!!!! Big fan of yours, Nicole. I have every thing you mentioned in your pantry list except eggs because I am a strict vegetarian and do not eat eggs. I don’ t have problems with dairy. I just like to have new recipes and hence I was attracted after seeing few recipes of yours and very much looking forward to your recipes on a regular basis.